My name is Justin Claude and I was born in Ankaizinina village near the town of Andasibe in June 1981. I grew up here and still live in this village thirty-four years later. When I was a child I knew the forest because my father spent his time working as forest patrol for almost forty years. Back when I was growing up I joined people in the forest just for fun, to look for honey, to hunt birds, and to find wood for cooking. It was something like a mystery to me, to be alone in the forest, hiding beside trees and in different valleys, and listening to the different sounds from the wind and from the leaves. Justin Claude’s dream to work as a forest guide with tourists, eventually resulted in him working with species of frogs that he grew up with in the rainforests in Andasibe, Madagascar. When I was a kid I played with frogs. We used them for fishing, for food and for medicine too. My village is almost in the forest, and it is always raining here so frogs are everywhere. There were also many different species of reptiles. As a kid, I attracted the tourists by showing them big chameleons I caught in the forest. I would put a chameleon on a stick and take it to the side of the road and wait. Then the tourists would pass by and stop to take photographs and we would get a little money, or they would give us some souvenirs as toys. I started work with Mitsinjo in 1999, when I was still a student, and I became real member with the Association in 2001 after I left school. My dream was to work as a forest guide with the tourists. I also did different types of research with visiting biologists about lemurs and then insects before I helped study frogs. Then I worked with frogs with a herpetologist who studied their habitat and the density. I learned the different frog species and to identify their predators in the wild and also to consider their diet and ecology. Finally, I worked to translate the book “Amphibians and Reptiles of Madagascar” by Frank Glaw and Miguel Vences to the Malagasy language around 2006 and it was published in 2007. Translating the book helped me to understand the threats the frogs of Madagascar face. I also learned about chytrid fungus while translating this book, and also many key words in English that helped me to expand my knowledge. My life now depends on the conservation of nature. It is my work and supports me and my village. In 2010 I started work to develop a breeding station for frogs with Mitsinjo. In 2010 I also went to a workshop about amphibian diseases at Parc Ivoloina, near Toamasina in eastern Madagascar, held by the Durrell Wildlife Conservation Trust, and I gave my first PowerPoint presentation here. It was about frogs and Mitsinjo’s new breeding facility. We opened the breeding center in 2011 and started to keep different species to learn about their husbandry. 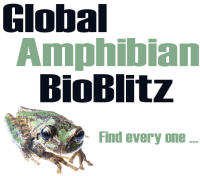 Then in April 2013 I was accepted to participate in the Amphibian Academy at Toledo Zoo, USA. It was my first time leaving Madagascar. I learned new techniques and methods to keep amphibians in captivity and also about other amphibian breeding projects around the world. I brought this experience back to Mitsinjo, and since then we continued our work at the breeding facility. The future for frogs in Andasibe will be clear if everyone cares a little more about them, the same as for Madagascar as a whole. My life now depends on the conservation of nature. It is my work and supports me and my village.